You might have noticed that we’re quite fond of Newbees Festival – and we want to share the excitement / experience / love with you! So, the great guys behind Newbees offered 2×2 Partout Tickets for the festival on 27 and 28 September in Aarhus which we want to give out to two of our lovely readers! 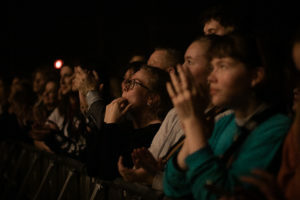 Write us a mail to goodbecausedanish@gmail.com and tell us which act you’re most looking forward to see at this year’s Newbees Festival* – and why! Oh, and if you haven’t done it already: like Newbees Festival and Good because Danish on Facebook to increase your chances to win. Deadline is Saturday, 21 September Tuesday, 24 September. We will draw and annonce the two lucky ones a day after on Sunday, 22 September Wednesday, 25 September. Stay tuned and good luck! *Have a look into the line-up of Newbees Festival 2013 here.